The Renaissance Health Insurance Company of America primarily sells dental coverage. Additionally, this company also offers discount health plans, life insurance, vision coverage and other types of insurance. Families, individuals, and companies can purchase supplemental health insurance through the Renaissance Health Insurance Company of America. To get a health insurance quote, submit your zip code! In business for more than 50 years, the Renaissance Health Insurance Company of America has provided coverage to millions of people. Because many primary health plans do not give consumers an adequate amount of dental coverage, most need to purchase supplementary coverage. The Renaissance Health Insurance Company is licensed to sell insurance products in several states, and the company also workers with independent insurance brokers and insurance agents. Consumers are able to contact the Renaissance Health Insurance Company of America over the phone, via fax, through the online customer contact form or by mail. Since there are several phone numbers given on the official website, it is assumed that Renaissance Health Insurance Company of America is easy to get in contact with. No negative reviews from customers were found on the web. Generally, companies that make it difficult for customers to follow up on insurance claims generate numerous web-based complaints. Prospective clients are supplied with a wealth of information concerning Renaissance Health Insurance Company of America products on its website. In addition to dental insurance, consumers can choose from full coverage and supplemental plans. The Renaissance Health Insurance Company of America also offers discount cards for patients that need occasional non-traditional health procedures and want to reduce the cost of their prescriptions. Employers, associations, and group leaders can also purchase dental coverage from the Renaissance Health Insurance Company of America. It appears that the Renaissance Health Insurance Company of America may have discontinued selling life insurance products online as of 2008. Customers can also call the Renaissance Health Insurance Company of America at 1-888-791-5995. 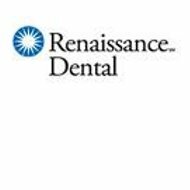 Even though the Renaissance Health Insurance Company of America extends dental and supplementary health insurance coverage to millions of people, this is a small company. There are no job listings posted on the company website at this time, however, in-house positions may be available. All job openings are based in the Midwest. The Renaissance Health Insurance of America tends to focus on appointing independent insurance sales agents rather than hiring a large sized staff. Insurance brokers help to sell many of the Renaissance Health Insurance Company of America’s insurance products. Currently appointed insurance agents can log into the Renaissance Health Insurance Company of America’s website to see which products are most appropriate for their prospective clients. Although the Renaissance Health Insurance Company of America provides policies to consumers in a limited number of states, insurance agents living in other states are still open to inquire. New insurance agencies, brokers and agents are appointing on an ongoing basis. Rate information on all Renaissance Health Insurance Company of America’s products can be found by applying for an online quote. Consumers are asked for a large amount of personal information, including their social security number, full name, gender, and date of birth. This is to better help the Renaissance Health Insurance Company of America recall quotes and identify customers. Quotes can also be obtained from the Renaissance Health Insurance Company of America via the phone or through an independent insurance agent. Depending on the insurance product selected, the location of the customer and other mitigating factors, rates will differ. No information could be found on the Renaissance Health Insurance Company of America with the Better Business Bureau. No complaints were filed with the Texas Department of Insurance. A.M. Best has given the Renaissance Health Insurance Company of America a B++ rating. Considering the fact that the Renaissance Health Insurance Company of America has been in business for a number of years, it appears that consumers are mostly satisfied. The company’s financial outlook appears to be solid, and the insurance products sold meet the requirements of state insurance departments as well as the general public. See online health insurance quotes fast by typing in your zip code!